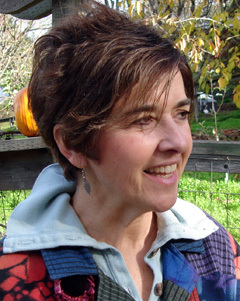 Julie C. Smith graduated from UCSF Physical Therapy Program in 1985 and from UC Berkeley in 1975, Phi Beta Kappa. She studied Modern Dance in San Francisco for nearly a decade as well as yoga and biofeedback. A long standing interest in mind-body interaction and a love of moving have lead her to a career in Physical Therapy and the Feldenkrais Method®. In 1996, Julie moved to Sonoma County. She lives in Sebastopol with her sweet husband.